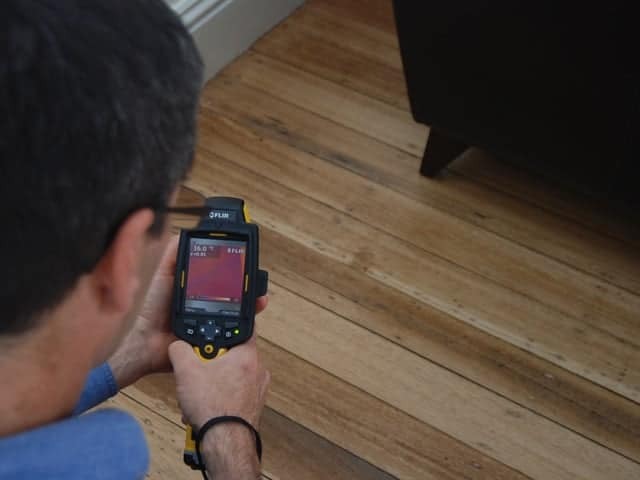 Building eValuate conduct air leakage testing and blower door testing on domestic and commercial buildings in Hobart and Southern Tasmania. Building eValuate can test air leakage in your building using a combination of blower door testing and thermal imaging. We can provide a comprehensive report that highlights the areas that require attention and will provide advice on improving your building’s comfort, efficiency and performance levels. 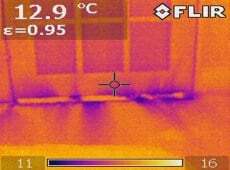 Air leaks are located with a thermal imaging camera and a tailored report is provided to the building owner advising of problem areas and possible solutions. 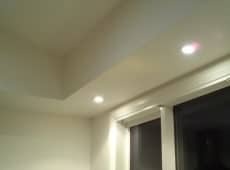 Building eValuate offer a full retrofit building sealing service to our clients. Blower door test on a ‘passive house’ at pre-plaster stage. 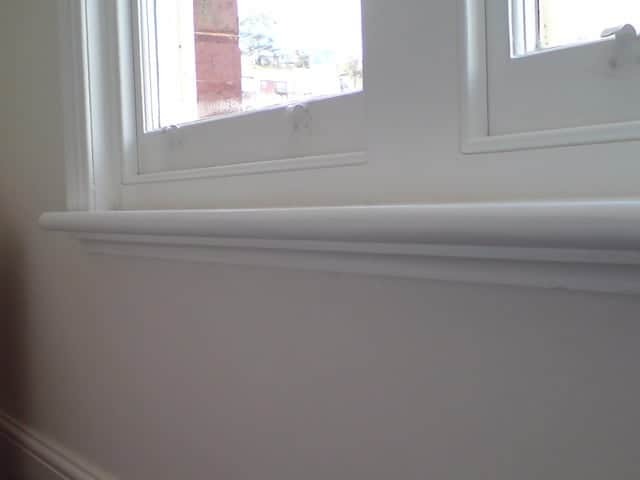 How can I control air leakage in my home? 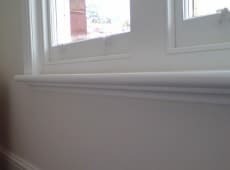 Draughts can account for up to 25 per cent of heat loss from a home. Simple draught control and weather-sealing can improve the energy efficiency of most existing and new buildings. 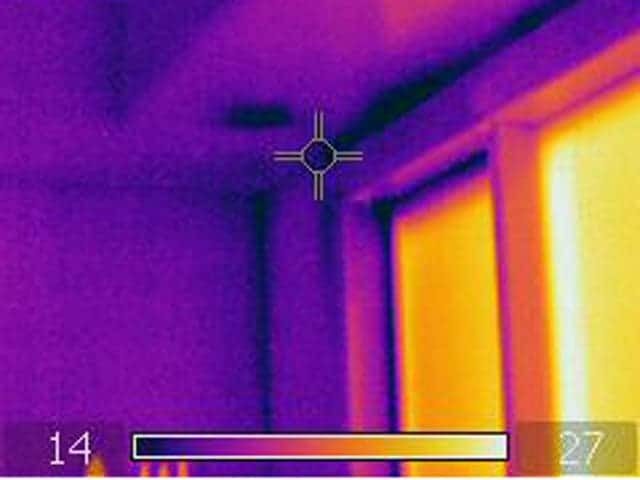 International research recognises that the weather proofing or draught sealing of buildings is the most effective method of achieving direct energy savings whilst maintaining healthy indoor air quality. It is estimated that Australian buildings leak 2 to 4 times as much air as Northern American or European buildings. This suggests that a tremendous opportunity for energy savings exists in Tasmania. In Australia, households produce around 20 per cent of our total annual greenhouse gas emissions, of which heating and air-conditioning account for around 38 per cent. 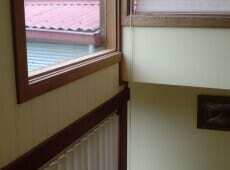 Controlling air leakage in your home will cut both your heating costs and carbon emissions. 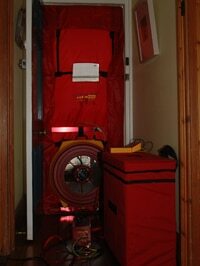 A blower door is a diagnostic tool designed to measure the air tightness of buildings. A blower door testing system consists of a Retrotec calibrated fan for measuring an airflow rate, a door-panel system and a pressure-sensing device to measure the air pressure created by the fan flow. The combination of pressure and fan-flow measurements is used to determine the building’s air tightness. 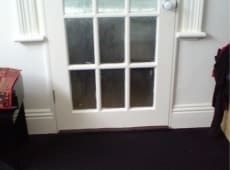 The fan is used to blow air in to or out of the building, which creates a pressure difference between inside and outside. This pressure difference forces air through any gaps, holes or penetrations in the building enclosure. The more airtight the building, the less air is needed from the blower door fan to create a change in building pressure. To compare the relative air tightness of buildings, it is useful to normalize measurements based on the building’s size as this allows for the easy comparison of various sized buildings. One of the most common ways to normalize building air tightness is to calculate the number of times per hour the total volume of the enclosure is changed once the enclosure is subjected to a 50-pascal pressure difference. In addition to the CFM50 measurement, the total volume of the enclosure is required in order to calculate air changes per hour. 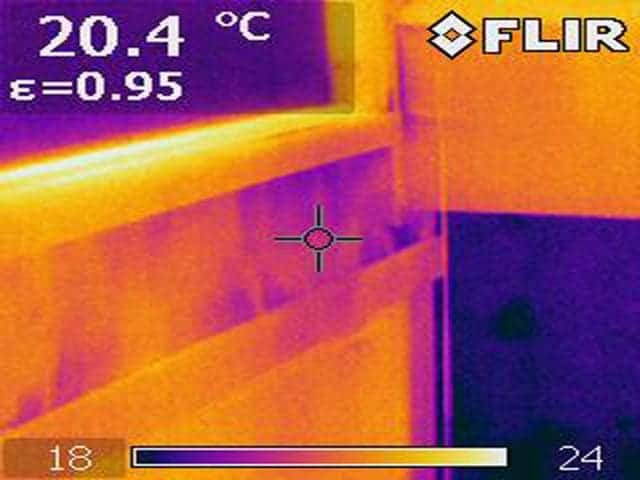 Is air leakage costing you a fortune in energy bills? Get in touch today to find out how you can lower your energy costs and make your home a more comfortable environment. 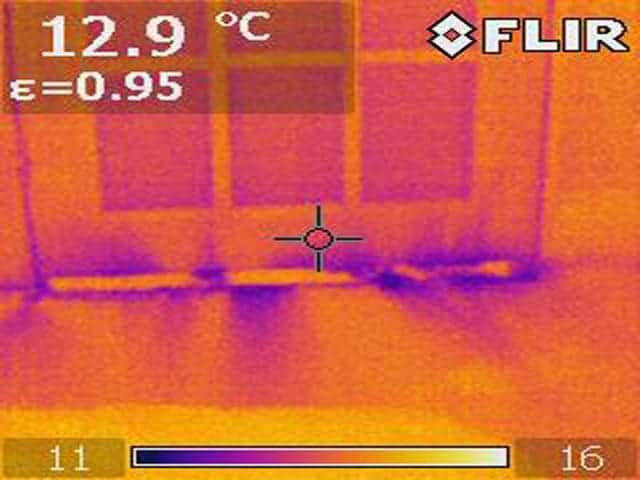 Thermal images of building air leakage with the buildings depressurised.